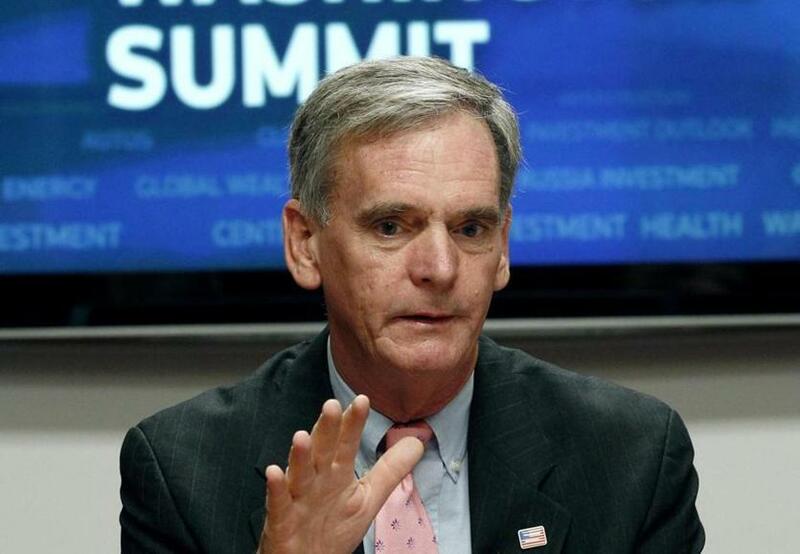 Judd Gregg, the former New Hampshire governor and three-term Republican US senator. Judd Gregg, the former New Hampshire governor and three-term Republican US senator, has one core message regarding his party: They’ve abandoned fiscal responsibility. In an opinion essay for The Hill published last week, Gregg said the omnibus spending bill passed by Congress last month will add about $2 trillion to the federal debt. Its passage, he wrote, is “inexcusable” and shows that President Trump and the Republican-controlled Congress are heading down a dangerous path. Gregg served as governor of New Hampshire from 1989 to 1993, and then represented the state as a US senator for three terms, from 1993 to 2011. He has since worked in the private business sector. Last month, Congress approved a $1.3 trillion spending bill to avert a government shutdown. The bill, which spanned 2,232 pages, was passed less than 24 hours after the final version had been released. The main implication of the measure, Gregg claimed, is the accompanying cost of interest. He said within a few years, interest costs could total $1 trillion a year or more. 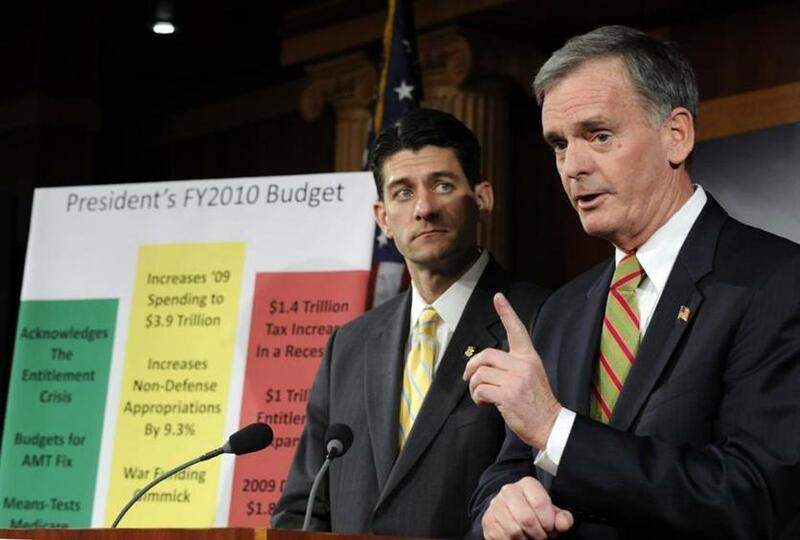 Then-Senator Judd Gregg (right) with Representative Paul Ryan at a news conference in 2009 to discuss then-President Obama’s fiscal 2010 federal budget. Gregg isn’t the only Republican who seemed unhappy with the bill: Trump originally said he was considering vetoing the measure before changing course hours later, signing it into law to avert a government shutdown. Trump warned Congress at the time that he would ‘‘never sign another bill like this again,” adding that he was only doing so because of national security concerns. However, Gregg said Trump specifically seems unconcerned or uninterested in government budget deficits. “The Art of the Deal has never been so misdirected and destructive,” he said, referencing Trump’s own business-advice book. Gregg claimed Republicans might have been against the bill if a Democrat proposed it. “In its values, it is a liberal, Democratic bill. But, in actuality, it is now a Republican bill,” he wrote. Gregg endorsed Jeb Bush, and later John Kasich, in the 2016 presidential election. J.D. Capelouto can be reached at jd.capelouto@globe.com. Follow him on Twitter @jdcapelouto.